In a rare date night, my wife and I went to the movies to see “Bohemian Rhapsody.” The new movie, about the band Queen, was entertaining and eye opening. Lead singer, Freddie Mercury, was played extremely well by Rami Malek. And it was super cool to get the backstory around some of their iconic songs and how they all came together. I am no movie critic, but I thought it was worth watching…especially if you are a music lover. The next day, I was struck by a few things about the movie that stuck with me. 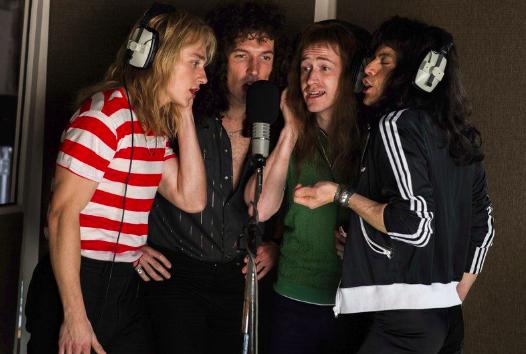 Here are 3 things that Bohemian Rhapsody reminded me. Being Authentic Is Hard: When most of us think of Freddie Mercury today, we visualize the larger than life performer on stage. Though that was a part of him, it was certainly not all of him. The movie showed Freddie struggle with his family (he changed his name), his faith, his sexuality and his own loneliness. Though we see him now as a trailblazer (and he was), it was far from easy. But the world is different because he was (and Queen was) authentic. Creative Discord Is Good: The movie showcases the creative process of the band well. There are moments of fun and inspiration. But there are also moments of yelling. At one points, when Freddie works on a project on his own, he finds he misses the process. He points out to the group that when everyone just “did what he said,” the music wasn’t has good. Sometimes we try to get rid of that discord…and we shouldn’t. Fortune Favors The Bold: Queen was amazingly talented and unconventional. They were known for pushing boundaries in every way…and their music shows it. They refused to be put “in a box” as a musical style. So they experimented with different styles of music and ways to record it. They refused to go with convention. By charting their own path, Queen created a compilation of music like no other. Go watch the movie. Or don’t. But today will be filled with some of Queen’s greatest hits playing in the office. Make sure you never miss an update! Sign up for our VIP Newsletter here!